It’s REALLY hard to believe it. I mean, wasn’t it just yesterday that I was turning 21? And, now I’m TWICE that age??? Unbelievable. 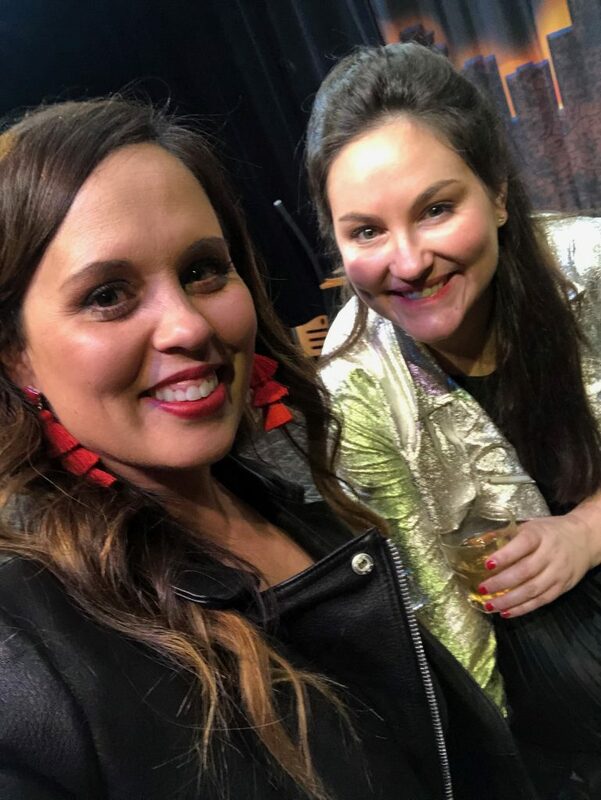 Back in October, the lovely Taylor Strecker announced that she would be hosting a live podcast in Nashville on January 9th. My best friend (and fellow listener) Angela lives in Nashville and was completely committed to going. Per usual, she encouraged me to fly home to join as well… but I hesitated. 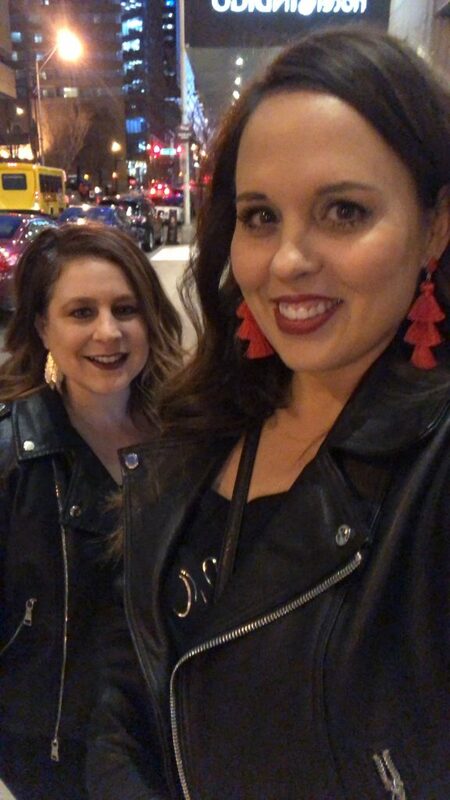 Even though we’d been listening to Tay’s live radio show for like twelve years, the show was midweek in Nashville, and that just seemed crazy that I would fly there for it, take all that time off, etc. And, it was my birthday eve. I just wasn’t sure if this was a good idea. It took me about a week to decide that this wasn’t a good idea… it was a GREAT idea! Next thing you know, I’d booked a flight, a hotel, and secured VIP tickets to see (both of) my long-time BFFs in one of my favorite cities. 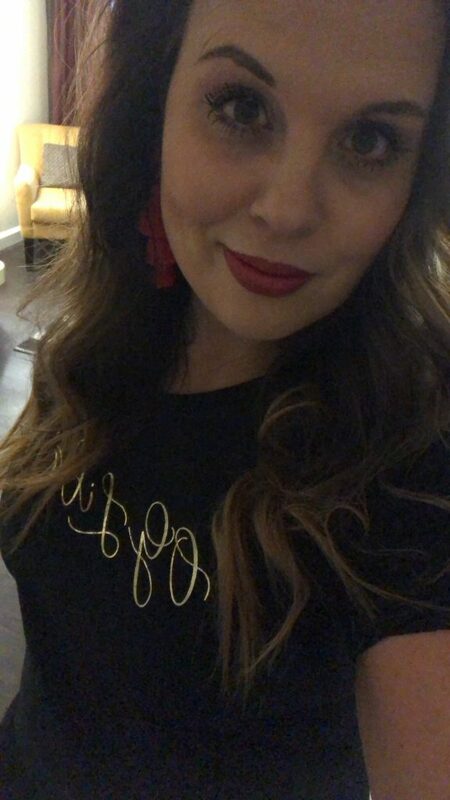 On the day of the show, Angela showed up at the hotel with custom fan-girl shirts in hand and had packed her party pants. In the pic below, you can see the cute shirts Ang had made with OG Lil Effers written on it. From back in the Cosmo days when Taylor was on Sirius XM, fans of the show were called Lil Effers – – The “F’s” standing for “Fun, Fearless Females”, a long time Cosmo slogan for badass women. Needless to say, we were in for a heck of a night! Now, amongst us friends, I am horrible at meeting celebrities of any kind. I’m typically awkward, have nothing to say, and (to use Taylor’s favorite word) completely bethos. 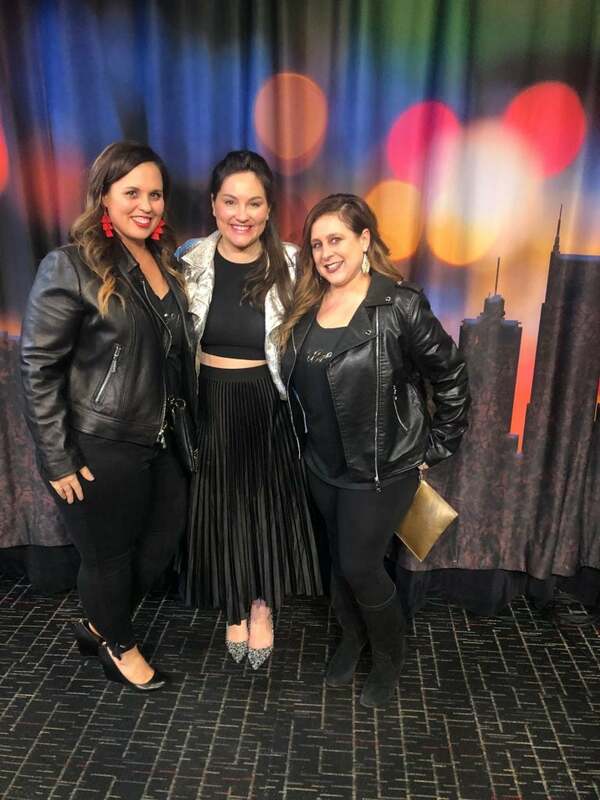 Angela made sure I’d had a few drinks before we met Tay so I’d chilled out, but seriously… I’m just a girl who has no chill in these scenarios. After the show, we headed to Broadway with some of our new BFFs we met at the show. Folks had traveled in from as far as Milwaukee, Chicago, and New Orleans to see our girl. And, of course, we immediately became insta-friends (hey girls heyyyyyy!) Broadway is a notorious area in Nashville where you can hear incredible live music. Often referred to as the Honky Tonks, we found them… and then some! 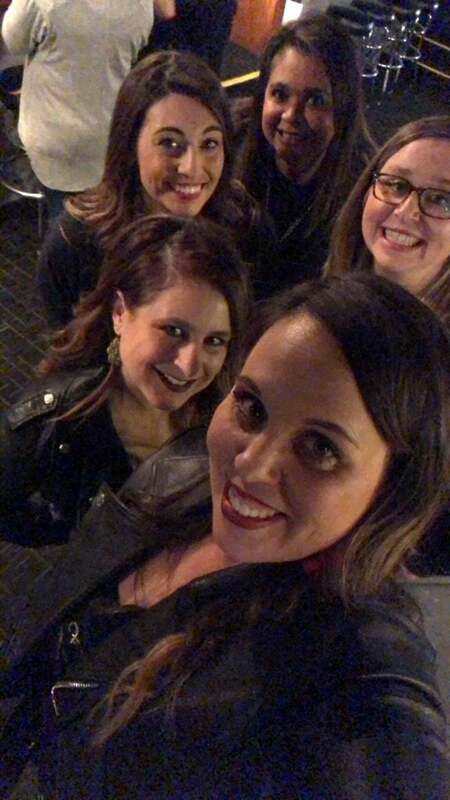 The night got a little rowdy (like the kind of night someone half my age has), but we had a blast as my birthday became official and eventually the OGs called it a night. If you’ve not met Taylor Strecker yet, seriously… you should give her a listen. 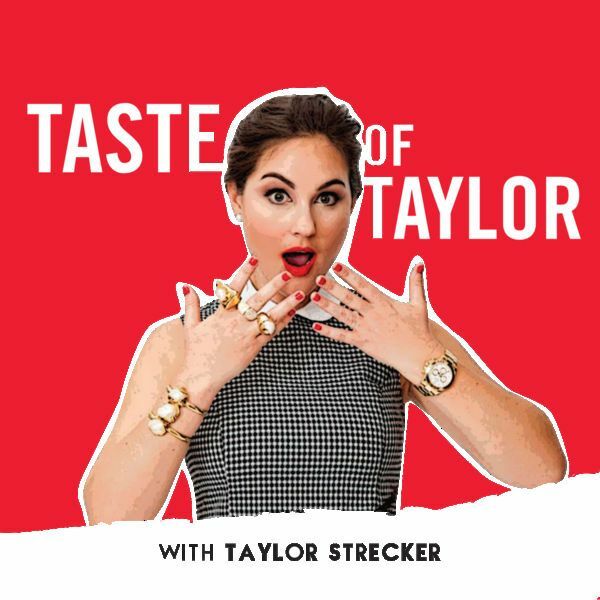 Her free podcast is Taste of Taylor on iTunes, and her daily radio show can be found here.